Les Chaumières d'Arbre de cerise (Cherry Tree Cottage) is set amongst orchards and gardens, the cottage provides a haven of peace and tranquillity within an area of historic interest, stunning scenery and rolling farmland. The village of Berville-sur-Mer is just six miles from the wonderful historic harbour town of Honfleur. The cottage has been finished to an excellent standard and offer great accommodation with many items included. 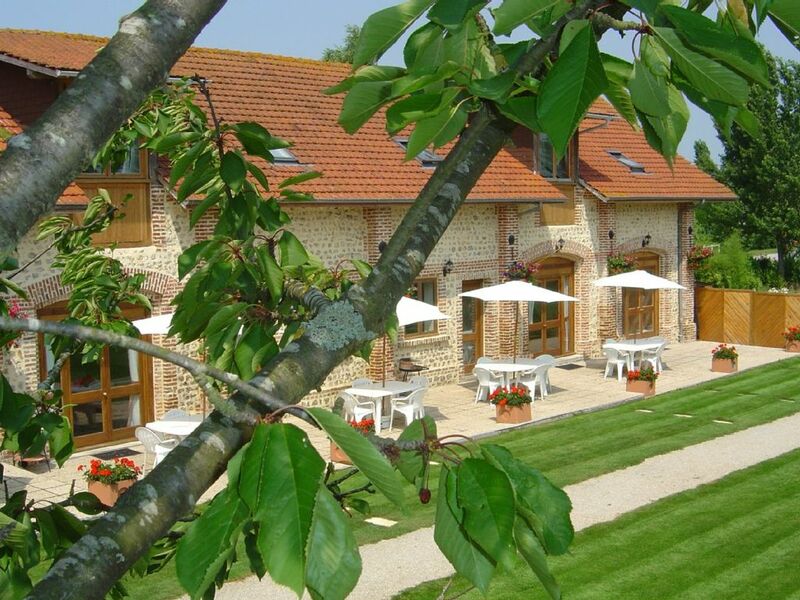 An ideal base for exploring the historical area of Calvados. Enjoy fine wine and excellent food or the more leisurely pursuits of walking, cycling or fishing. The tranquil French hamlet of Berville Sur Mer is situation on the banks of the river Seine, immediately opposite from the cottage stands the church of St Méleian, dating back to the 13th Century. Berville sur Mer is a small rural hamlet six miles from the picturesque harbour town of Honfleur. Honfleur offers a wealth of fine restaurants, art galleries, museums and a fabulous 16th century wooden church. Le Havre is approximately 20 minutes drive and Calais or Boulogne are approximately two and a half to three hours drive away. Day trips to the Monet Gardens, Normandy Beaches, Bayeux Tapestry or the wonderful cathedral at Rouen is highly recommended. While there is internet at this location due to the age and construction of the building and the rural location there is no guarantee as to service levels. Children’s cots/high chairs are available when booked in advance at no extra cost. The tranquil French hamlet of Berville Sur Mer situated on the banks of the river Seines. Berville-sur-Mer is just six miles from the wonderful historic harbour town of Honfleur. Only 20 miles from the port of Le Havre and Calais is approximately two and a half to three hours drive. One hour from Caen (Ouistreham ferry) and two hours from Paris.